On Friday 6th December 2013, Kingsbury High School held a quiz night to raise money for the Disasters Emergency Committee’s (DEC) Philippines Typhoon Appeal. The quiz night, organised by KS3 Pastoral Curriculum Leader, Ms Sarah Purtill and Sixth Form students, called on the support of local businesses who donated generously. Members of staff, students, parents and the local community were invited to enjoy the event which, along with the quiz, also included traditional dance and music performances and a raffle prize draw. The most sought after prizes were four tickets to the Saracens versus Harlequins rugby union match at Wembley Stadium, donated by Saracens; a head massage, donated by Aura Centre of Hair and Beauty and a round of golf for four people, donated by Pinner Golf Club. The event was a huge success and the school raised an impressive £2,112.15 for the DEC Philippines Typhoon Appeal. Thank you to former Kingsbury High School teacher, Mr Bruce Viveash, for the photograph. On Friday 29th November, Send My Friend to School, a campaign run by the Global Campaign for Education UK, filmed the final leg of their 2014 film at The Village School (TVS), Grove Park. Every year, Send My Friend to School, run a campaign, teaching UK school students about the global education crisis. Schools who take part receive a free pack, including an introductory DVD containing the film. A film crew from Jump Off The Screen spent a day at TVS filming children with disabilities working alongside students from Kingsbury High School. Kingsbury High School has been supporting the Send My Friend to School campaign for eight years. The campaign, which has a different theme each year, aims to remind world leaders of the promise they made in 2000; that all children worldwide would get a quality primary education by 2015. The 2014 theme, ‘Send ALL My Friends to School’ will focus on disability and education and the main message will be that every child has the equal right to learn. There are still 57 million children who are missing out on even a basic primary education, and over a third of these children have a disability. Kingsbury High School student, Shivani Doshi, aged 13, was filmed at TVS and also featured in the 2013 film campaign. She said “I feel passionate about Send My Friend to School, because I am in an environment where it is easy to forget about the importance of education. The campaign is reminder to me that I should not disrupt my learning as 57 million children do not get an education. The film will be shown to around 6,000 schools across the UK who sign up for the Send My Friend to School campaign. Schools can get involved by requesting an activity pack from the Send My Friend to School website. The film will be available for viewing by the end of February 2014. 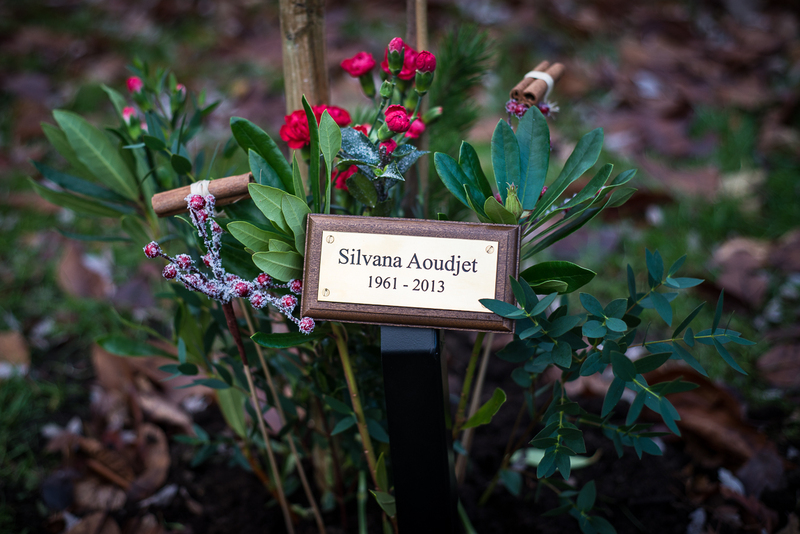 Friends and Colleagues gathered together on Tuesday 11th December to lay a plaque dedicated to Silvana Aoudjet, our much loved former librarian, who passed away in August 2013 after a year long struggle with cancer. The plaque lies beneath a cherry tree planted in Silvana’s memory. 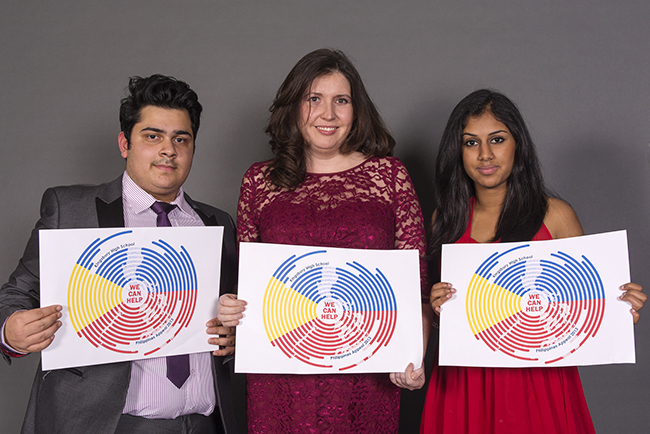 The event was also attended by several former students including Silvana’s daughter Nadia. Due to the generosity of staff and local community the school has donated £190 to the Marie Curie Hospice in Hampstead, where Silvana was cared for during her last days. If you would like to make a donation, please visit our Just Giving page in Silvana’s memory. On Friday 6th December 2013, twenty Sixth Form students and eighteen staff took part in the annual Badminton Challenge. 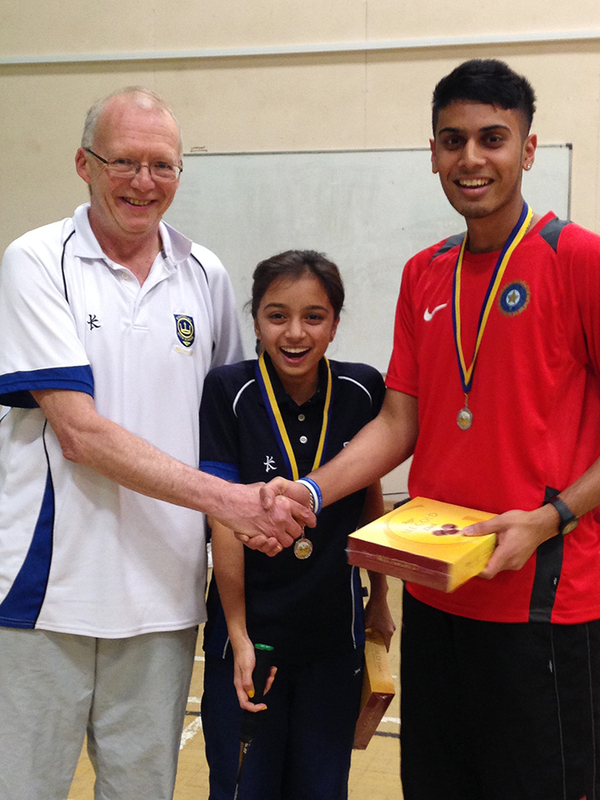 Although the staff won overall, the top performing students were Dhruvi Vyas and Niraj Gorasiya, pictured above sporting their medals with Steve Wood, a former staff member involved in the event organisation. The staff winners from last year, Mr Lineton and Ms Kincaid played superbly and retained their title for a second consecutive year. Mr Wood said “As always, the atmosphere was delightful but it still retained a definite competitive edge! Kingsbury High School’s annual school library fair took place on Tuesday 3rd December 2013. This has always been a popular event in the Lower School Library and many of students thoroughly enjoyed the event. The event raised just over £145, which will be put towards ordering books requested by students.